India will also donate a surveillance aircraft. For President Danny Faure this is his first official visit to New Delhi. The activism of Indian Prime Minister Narendra Modi is due to the strained ties with Maldives and Sri Lanka, which are increasingly aligned with Beijing. Victoria (AsiaNews/Agencies) – India is giving the Seychelles a line of credit of US$ 100 million to counter Chinese hegemony in the Indian Ocean. 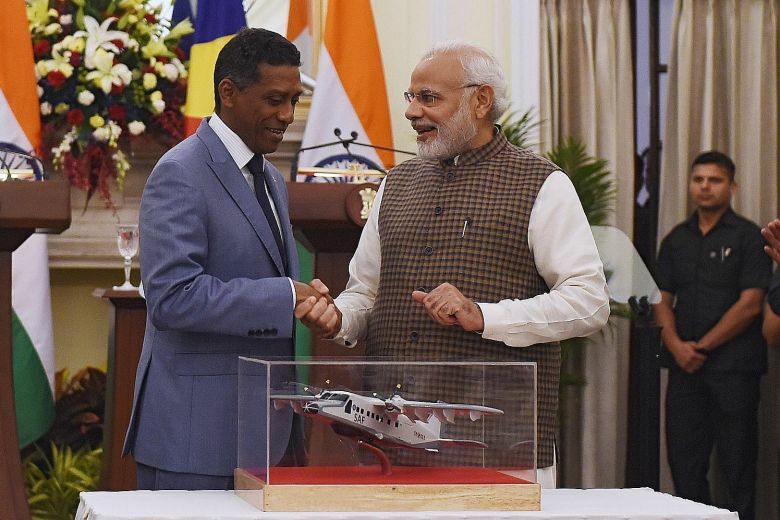 Indian Prime Minister Narendra Modi made the offer to Seychelles President Danny Faure this week in New Delhi during the latter’s first state visit to India. The credit will be spent on maritime security. India will also donate a Dornier surveillance aircraft. The meeting between the two leaders took place in a cordial atmosphere, although opposition parties in the Seychelles have rejected India's proposal to build naval facilities on Assumption Island. Prime Minister Modi's goal is to try to boost trade ties between the two countries and project India’s power in the area to counter China. "India and Seychelles are major strategic partners. We respect the core values of a democracy and share the geostrategic vision to maintain the peace, security and stability in the Indian Ocean," Mr Modi said in a statement after the talks. Six agreements were signed between the two sides, including assistance from India in small developmental projects. However, defence remains central to the relationship. India donated a first Dornier maritime surveillance aircraft in 2013, installed six coastal surveillance radar systems in the archipelago, and then gave a Coast Guard's Fast Interceptor Boat in 2016. Modi’s activism is mainly due to the collapse of strategic ties with Maldives and Sri Lanka. In the first case, New Delhi harshly criticised Maldivian President Abdulla Yameen who provoked a constitutional crisis after arresting several members of the opposition. In the case of Sri Lanka, it now seems inevitable that the island nation will be part of China’s sphere of influence after Beijing gained control of the Hambantota port for 99 years. The port will be one of the stops for goods moved along the New Chinese Silk Road.